John Delabere sold the land upon which Suffolk Parade was later created to Henry Thompson, the developer of Montpellier, in 1807. The street was laid out in the next few years and in 1818 the site of modern house numbers 28-31 was leased to Mr Aaron Wills Gay, a carpenter and joiner. Then, in 1822, following the death of Henry Thompson, his sons sold this land, with a frontage of 60 feet and a depth of 92 feet, to Mr Gay. It is probable that he developed the 4 properties on the site and leased them out, having acquired a further plot at the rear of the premises in 1826. Suffolk Parade was unnamed at that time and is referred to in title deeds as a "private road". Aaron Wills Gay died in 1844 and all 4 properties in this row were advertised to be auctioned at the Suffolk Arms Inn. However they were eventually all acquired by private treaty by Mr John Lapidge. This shop was for the greatest time dedicated to selling reading materials but began life as a private house, in common with several of the properties in Suffolk Parade, in about 1822. In the late 1840s the building was changed to a commercial use when Mr C. Cowling established a bookshop here. He was followed in about 1853 by Mr William Stantial who, in addition to books, newspapers and stationery, sold a range of children's toys. 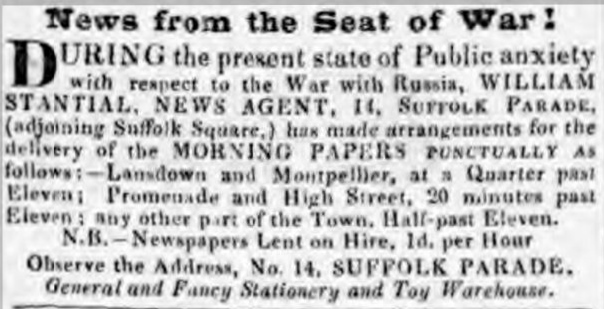 It is sobering, in the light of 21st century world affairs, to note that in 1854 Mr Stantial's advertisements referred to the general state of public anxiety about the progress of the Crimean war. In contrast to today, however, the morning newspapers were not delivered until after 11 am. In 1920 the Gastrells sold this shop to Mrs Annie Saunders and it became one of the first of several in this street to deal in antiques. She was here for just a few years, after which Mr Ronald E. Jones ran the antiques business. Then came another complete change when Mr Frank Gorford opened a fruiterers shop at these premises in the late 1930s. However this shop didn't last many years before the trade changed again in 1948 when Mr E.H. Kirk set up as an electrical goods dealer. 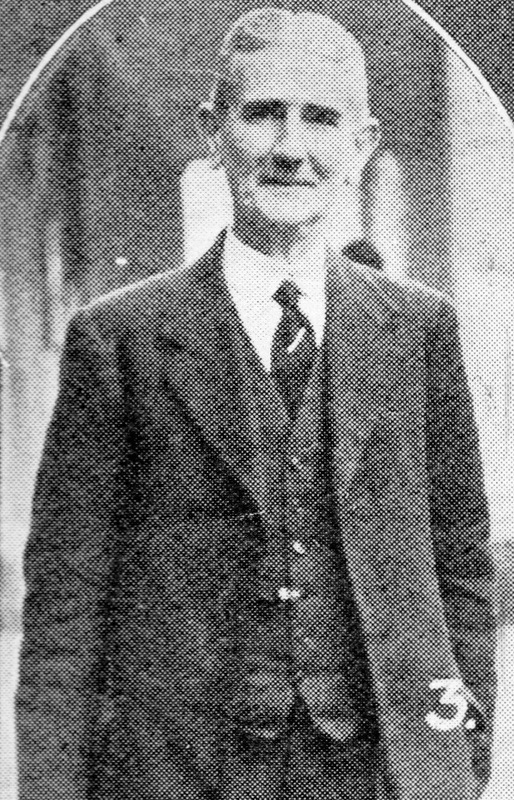 Mr William Robb took over this business in about 1950. 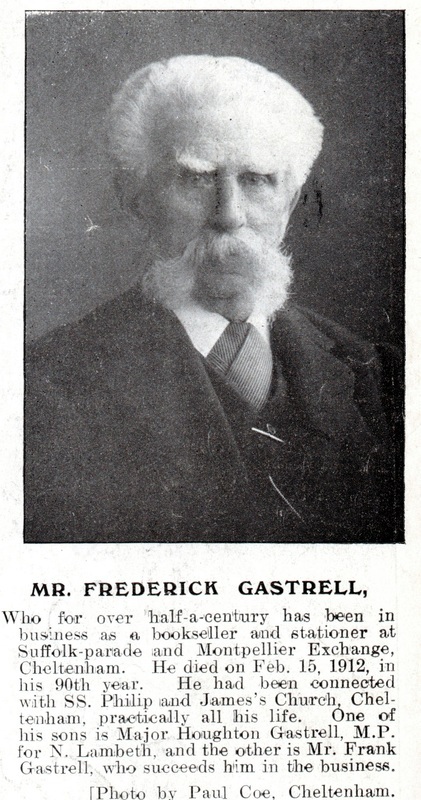 He was a vacuum cleaner specialist, refrigeration engineer & dealer, & domestic electrical appliances retailer, who later also traded in photographic equipment. 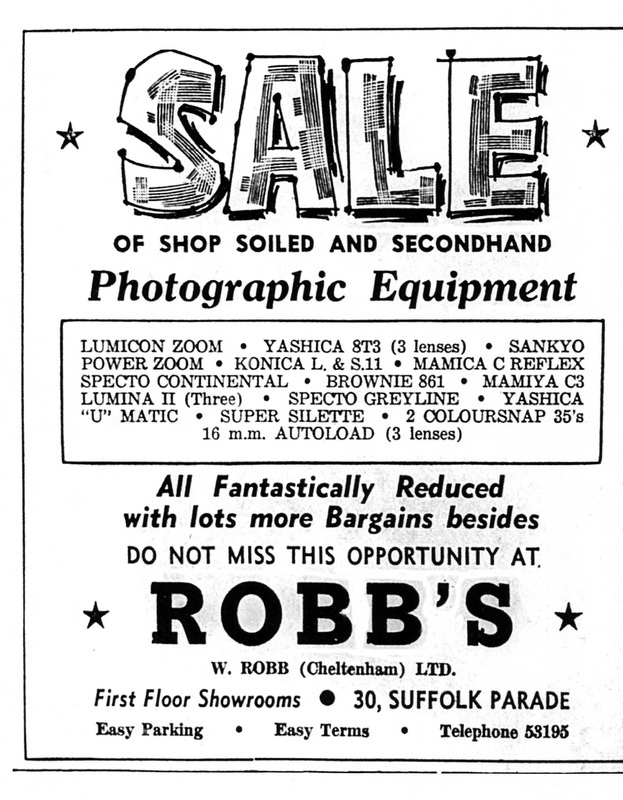 Robbs closed this shop when they moved to larger premises at 170 Bath Road, on 11th April 1964. Robbs was followed by Fine Furnishings Ltd, a soft fabrics shop, which was here until at least 1980. 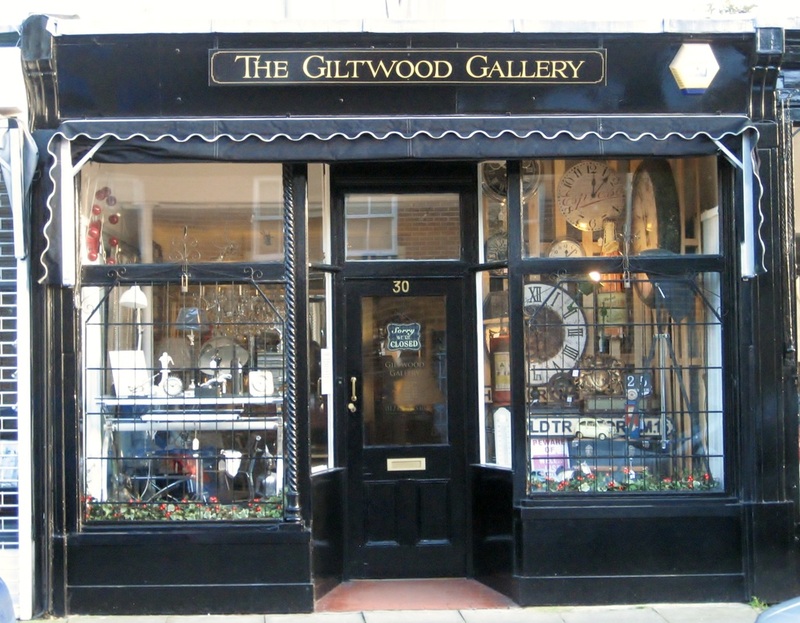 Since 1994 these premises have been home to the Giltwood Gallery which specialises in a unique range of decorative furnishings.